As a student I always liked history (I know it’s strange, but still I did). It’s always good to know the past and background and the evolution. 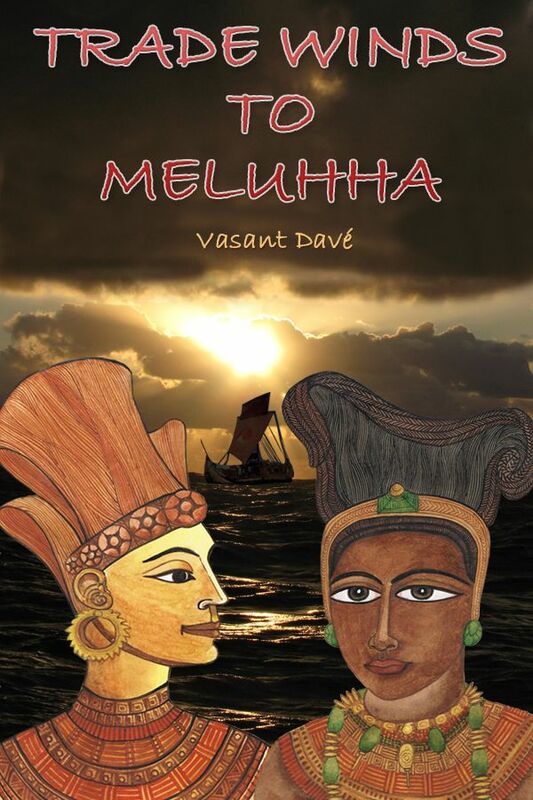 So I was quite happy when Mr. Vasant Davé contacted me with his latest historical novel – Trade Winds to Meluhha which is based in the 3rd Millennium BC – during the Indus Valley Civilization. Now what’s new in that? We have read all about IVC in school, what can be new in it? Don’t be confused Trade Winds to Meluhha is not all history but has a good story line intertwined with history. Set in the Bronze Age Trade Winds to Meluhha(TWTM) takes us to the life and adventures of a young teenage stable boy Samasin from Babili (Babylon). Samasinunfortunately finds himself at a murder spot and is assumed to be the murderer of a foreign trader. He escapes his imprisonment and the impending death and flees to Meluhha in search of Siwa Saqra – the last words he had heard from the slain trader. During his journey to Meluhha he comes across the beautiful Velli and falls in love with her. But she has other plans. Samasin learns about the ten glyphs and deciphers them with the help of Ann – a Mesopotamian woman. It leads him to the Saraswathi. Upon meeting Siwa Saqra he is faced with the truth behind all murders and conspiracies and they figure out the real situation of trade between Meluhha & Mesopotamia. The book is a result of extensive historical and empirical studies. It’s evident from the meticulous details and Mr. Davé has done a commendable job on that front. Writing historical fiction with keeping things so close to the facts is not easy and I appreciate the author for the same. Characterization is strong and as you read you understand the evolution of the characters. The young naïve stable boy turns to this hardened man through his adventures and experience. Similarly I like how he describes the worried yet strong Velli. The narrative could have been much closely knit. Some times at the peak of a tension new characters are introduced and we get involved with the descriptions and sea voyages leaving the high moment behind and never coming back to the same. This specially sets me back when I read about murder. For me it was a slow read and I lost the momentum in many places. However, I liked the fact that all the characters were indexed properly in the e-book. Otherwise it would have been very difficult to remember the names of such a huge star cast. And ohh boy what names – the Meluhhans & Babilis have real difficult names. Siwa Saqra, Negral, Biggie, Kayl, Qwoco, Tall Yali and some more – You might need another extra tongue to pronounce them (and I might have lost some teeth) – [pun intended]. I also didn’t understand why Meluhha is spelt with a double H. Single was okay I guess. Infact, I need to admit I was also reading the Meluha story side by side – The Immortals of Meluha – I meant. And many be if I compare to that this was slow paced. Nonetheless it’s a good job that the author has done and is a good adventure read. Born and brought up in Kenya Vasant Davé has been involved in Industrial Market Research work with MNCs. [This is quite evident with the extensive historical research that you can feel has gone behind the novel]. You can read more about him at his website. This e-book was sent by the author. These are entirely my own views and I try not to be biased while reviewing.